The Cambridge Graph Theory Conference, held at Trinity College from 11 to 13 March 1981, brought together top ranking workers from diverse areas of the subject. The papers presented were by invitation only. This volume contains most of the contniutions, suitably refereed and revised. For many years now, graph theory has been developing at a great pace and in many directions. In order to emphasize the variety of questions and to preserve the freshness of research, the theme of the meeting was not restricted. 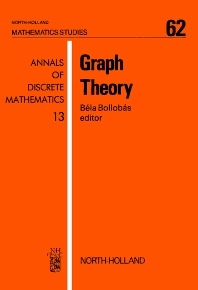 Consequently, the papers in this volume deal with many aspects of graph theory, including colouring, connectivity, cycles, Ramsey theory, random graphs, flows, simplicial decompositions and directed graphs. A number of other papers are concerned with related areas, including hypergraphs, designs, algorithms, games and social models. This wealth of topics should enhance the attractiveness of the volume.